I found this recipe on Pinterest from http://themealplanner.blogspot.com/2009/07/slow-cooker-chicken-tikka-masala.html. I was instantly attracted to it because when we had dinner with our friends the Gandhis, they made us Indian food and butter chicken was my FAVORITE. I swear, I could have licked the plate (but since we had just met them, I didn't, I promise). When I stumbled upon this recipe and it called for a crock pot, you know I was hooked. 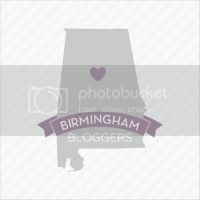 The only problem was that I had to pick up several ingredients in Birmingham, but I was going there anyway so it wasn't a huge deal. I'm going to have to cook this a lot, because now I have TONS of Indian spices!! Stir all ingredients except chicken into the bottom of a large plastic container. Add the chicken and coat the chicken completely with the marinade, cover and place in the fridge for at least an hour or overnight. Turn your oven to broil. Cover a baking sheet with aluminum foil and place a rack over top. Take the chicken out of the marinade and place on the baking rack. Place under the broiler about 6-10 inches from the heating element and broil on each side about 10 minutes. You don't have to worry about cooking the meat all the way through, you are just looking for a nice browned color. While the chicken is broiling, in a pan over medium high heat, add about a tsp or two of oil. Add the onion and saute for a few minutes to soften. Add the garlic and ginger and saute for a few more minutes until the mixture is nice and fragrant. This crazy looking thing is ginger!! Place the mixture into your crockpot. To that, add the diced tomatoes, tomato paste, garam masala, tikka paste, cumin, chili powder and coriander. Stir together. When the chicken is done broiling, add them straight to the slow cooker and stir into the masala (sauce). I have cooked and experimented with this dish quite a few times, and it by far tastes the best when the chicken is first broiled and then slow cooks in the masala sauce. It gives the sauce a real richness of flavor. Slow cook on high for 4-6 hours or on low 6-8 hours. Before serving stir in 1/2 tsp cumin, 1/2 tsp chili powder, 1/2 tsp garam masala and salt if it needs it. I find this just brightens up the spice flavors a bit. Then stir in the cream and fresh cilantro. Serve a chicken thigh with lots of sauce over basmati rice or Yellow Basmati Rice: 2 cups basmati, 4 cups water, salt, and 1/2 tbsp of turmeric. Stir together and prepare as you normally would. When the rice is done, stir in 1/2 cup frozen peas. This pic really doesn't do it justice! It was very yummy!! "She's Beauty and She's Grace....."